Alumnus of the New Media & Digital Culture Research Master, Cristel Kolopaking proceeded at the University of Amsterdam as a lecturer in the Bachelor of Media & Information. She teaches how to approach the Internet conceptually as well as methodologically in various courses. Her research interest lies in online ethics and epistemological reflexivity of digital methods. 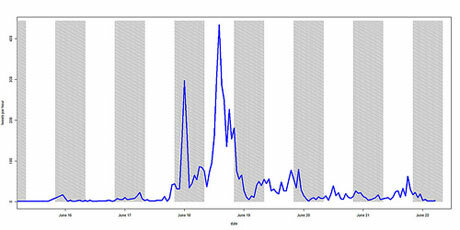 Although it’s winter in Brazil, the so-called ‘Brazilian Spring’ has clearly arisen in June and July 2013. The protests in Brazil show parallels to the ‘Arab Spring’ demonstrations (Dec. 2010-Feb. 2011), in which network communications were used to form a grassroots movement. Through online social network, Brazilians organized a protest against the increase of bus fares. Eventually this ended up in a massive demonstration against economic disparity and inequality forthcoming from the investments in the World Cup, that will be hosted by Brazil in 2014. Social media played a key role in supporting the nation’s protests to help organize gatherings, keep in contact with one another, representing the event and exchanging tips of how to deal with the oppression. Brazil is one of the most active countries using social media, second only to the United States of America, with a 69.9% percentage of the Brazilian population that uses Facebook. Despite the fact that the Facebook-user percentage is very high, the protesters left Facebook to go out and protest on the street. By holding up signs saying: ‘We left Facebook!’ and ‘Get out of Facebook and take to the streets!’, they encouraged each other to go pro-active offline as well. 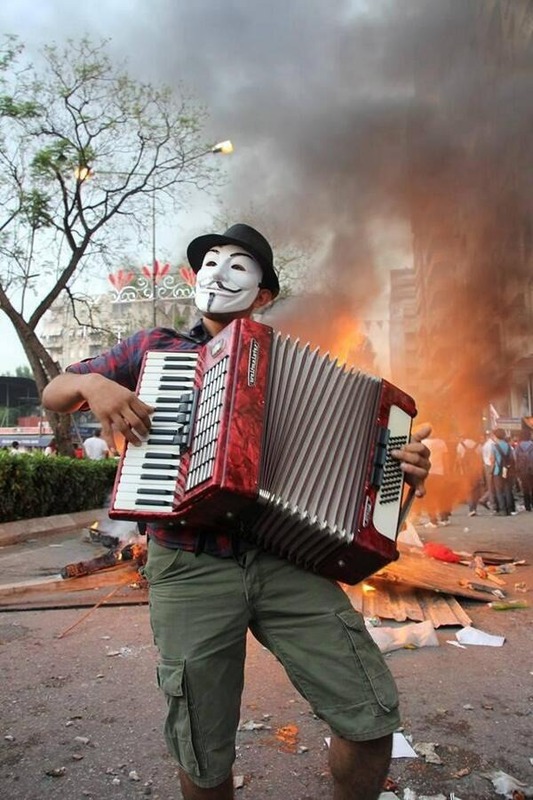 Precursor of the protests in Brazil is Turkey, where demonstrations started earlier in May 2013. This protest was a reaction to the plans for building a shopping mall at Taksim Gezi Park, one of the last parks in Istanbul. When the police attacked the peaceful sit-in using tear gas, the protests broadened into wider anti-government demonstrations, which spread through more cities in Turkey. Although Turkey is very conservative considering freedom of expression and the general use of social media, the protestors made use of several social media, like this Tumblr page: OccupyGeziParkIstanbul. The most common platform used in the Turkish protests was Twitter. The hashtag #direngezipark was tweeted 1.8 million times in three days, which is more than the most popular hashtag of the entire Egyptian revolution, according to a research on Twitter usage in Turkish protests from New York University. Prime minister Erdogan claimed that: ‘Social media is the worst menace to society’. 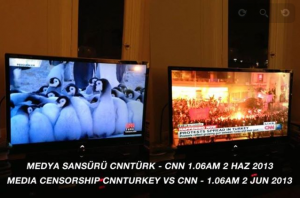 As a result Turkish television and newspapers had a lack of covering the protests, which makes the switch towards using social media on great scale logical to explain. When specifically examining the media that form the solid basis of support in the protests there is a clear distinction between the two major platforms Facebook and Twitter. What exactly is the role of Facebook, and the role of Twitter in these protests? To answer this question, it is necessary to take a look at the functions both platforms transmit to the users. Facebook offers an online meeting place for people to build up a social network. Functions within this network are: maintaining a personal profile, creating personal updates, groups or events. Herein lies the core of the role that Facebook plays when constructing an event or gathering of a larger scale. Groups can be created to exchange information with likeminded people, in this particular case protesters. An event can be created to set the date for this planned demonstration to take place. Twitter on the other hand, is a platform for people to inform each other via a message that contains a maximum of 140 characters and, optionally, a picture. The role of Twitter in the case of this protest is to quickly upload pictures of the setting, or textual updates, to a large number of followers. If a tweet gets hyped it will eventually get picked up by international news media, which for protesters is one of the primary objectives. When analyzing the data of the tweets, conclusions can be drawn that half of the tweets came from users with time zone “Brasilia”, while the rest came from zones outside of Brazil. When the news reached Turkey, a peak of tweets raised in Istanbul, as seen on the image below. The protests were aligning at that moment in both Brazil and Turkey. Altogether Facebook has proven more prudent for the protesters, whereas Twitter has proved useful to gather an ‘audience’, people that are not (yet) involved in the situation. Consequently, it is clear that Facebook is used to organize the demonstrations and from thereon leave for other sorts of social media to represent the protests on the street. Twitter is shaping the protests and used to narrate or declare specific opinions. For the visual support, YouTube and Tumblr are useful. There is a pro-active both online and offline, considering the behavior on the streets and on the social media. Protesters demand their civic rights, while making online amateur reports of it which are meant to replace the traditional journalism. This grassroots movement engages a high level of participation. Altogether the social media are of great value to the protests and every platform plays a different key role.